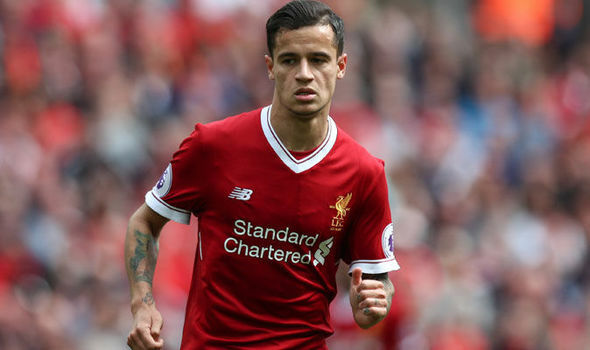 GUILLEM BALAGUE says Liverpool will not sell Philippe Coutinho today. It has been claimed by The Sun that Barcelona are going to announce the signing of Coutinho at 7pm today. It appeared Barca were finally going to secure a deal with Liverpool for the Brazilian’s transfer for a fee of £138million. But Balague has hit back at the claims and says that’s not the case. “Barcelona deny there is an agreement with LFC for Coutinho. Liverpool earlier completed a deal for Alex Oxlade-Chamberlain, who has joined in a £40million deal from Arsenal. Whatever happens, Coutinho won't be heading to the Nou Camp himself as he is on international duty with Brazil. Brazil boss Tite claims all the transfer speculation has had an impact on Coutinho, who will start on the bench against Ecuador tonight. Tite said: "It has affected him and will continue to affect him until the transfer window closes. "If he leaves, he will continue to be affected because he'll need time to adapt to his new club. Players are human beings and they respond in different ways. "I'm not sure how he will respond because it depends on the person. "I don't have an opinion on what is best for him. If he stays at Liverpool. I will be happy. If he goes to Barcelona I will be happy too."